2.PowerLead offers 12 months Warranty and 32 days free exchange for all the PowerLead products which are built with the highest quality standards and we stand behind for best after service. 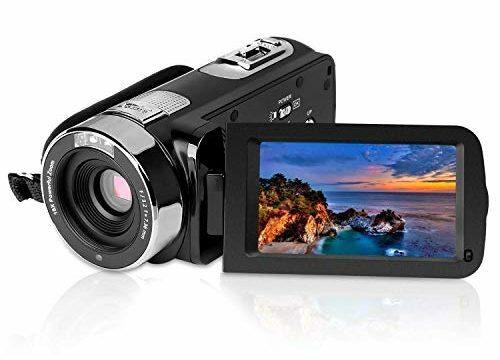 ADVANTAGES:This HD video camcorder maximum output is 24.0 Mega pixels,2.7 TFT LCD touchscreen,16X Zoom camera. BATTERY:Li-ion battery NP-40,3.7V 1250mAh.For the first time use need to charge more than 8 hours,after will need to charge about 3 hours.If full charged can be sustainable 2.5-3.5 hours. FEATURES:2.7 inches touch LCD(16:9) ,the display screen supports 270 ? ?rotation.The safety tether protect the camcorder from falling down.The touch panel makes its operation more convenient and simple for all users.